Andy Burdon: Non-Executive Director, Smith of Derby Limited. Heather Whitworth, Mr Nick Smith’s daughter and Smith of Derby Group Director, joins the Limited Board to add Group and family depth to the Smith of Derby Limited senior management team. Heather is a member of the fifth-generation of the family that started and own the business, and hence has been involved in it since childhood. She brings valuable skills and commitment to the team. In her early career Heather was a senior PA in the transport, media and arts worlds. More recently she has worked part time in credit control while raising her children Nick and Claire (familiar faces in the business in the wake of both work experience and more recently design and media support). As well as her Group responsibilities, Heather has already been instrumental in a series of energy, cost saving, and well-being programs that Limited has introduced over the past few years. She also supported Nick Smith’s archives and database research, and hence brings continuity in that area. She will continue to look at ways to enhance our team and our working environment, and join debate of day to day business. We know that clients in the UK and internationally value the long family history of the company, and evidence of the long-term future view taken by Smith of Derby Group. Hence Heather will also represent the Group and family at external engagements. Andy Burdon joins the Limited Board as Non-Executive Director. Andy is a Council Member of the Clocks Conservation Committee at the Church Buildings Council and the Chief Executive Officer of his own technology company having held a number of previous CIO board positions in the technology and communications industry. 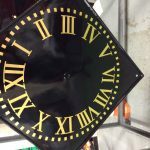 Andy has had a lifelong enthusiasm for turret clocks and curates his own turret clock collection and workshop. 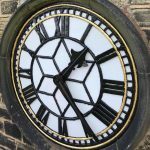 Andy has been working with Smith of Derby Limited for many months, helping the company improve our performance in the traditional clock marketplace. His knowledge of clock restoration, repair and conservation is invaluable as we invest to sustain our leading role in protecting the country’s horological legacy for generations to come. Andy will continue to work with our team on the ground, and will contribute at Board level with his leadership and market skills. Note: The Church Buildings Council (CBC) is a statutory body accountable to the General Synod. The Clocks Conservation committee reviews and awards grants to churches for work to be done on Turret Clocks and associated items.